"Still great after all these years! 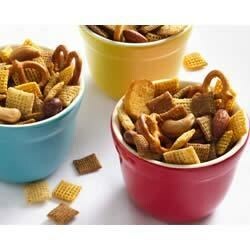 Chex® party mix has been a party staple for 50 years." I was a little nervous about making this in the microwave, as opposed to the traditional oven method, but it turned out great and saved time, which I LOVE!